After a 3-1 loss in Houston, NYCFC will be hoping to pick up three points vs Orlando on Saturday. On Saturday, fellow 2015 MLS expansion sides will meet as Orlando City SC pays a visit to Yankee Stadium to take on New York City FC. After a six-game win streak, the visitors now find themselves on a three-game losing streak following their most recent loss to the Chicago Fire. As for NYCFC, they'll also be disappointed in their most recent match as their early goal wasn't defended well and they lost 3-1 to the Houston Dynamo down in Texas. The two sides have already met once this season with that match also occurring at Yankee Stadium. NYCFC took that match by a score of 2-0 despite the absence of their captain, David Villa. It was a boring game heading into the halftime break as the scoreline remained scoreless but things changed in the second half. Ismael Tajouri-Shradi capitalized on a defensive mistake in the 62nd minute and gave NYCFC the lead. After some beautiful buildup, Maxi Moralez doubled the lead after a layoff from Jesus Medina just about wrapping things up in the 74th minute. 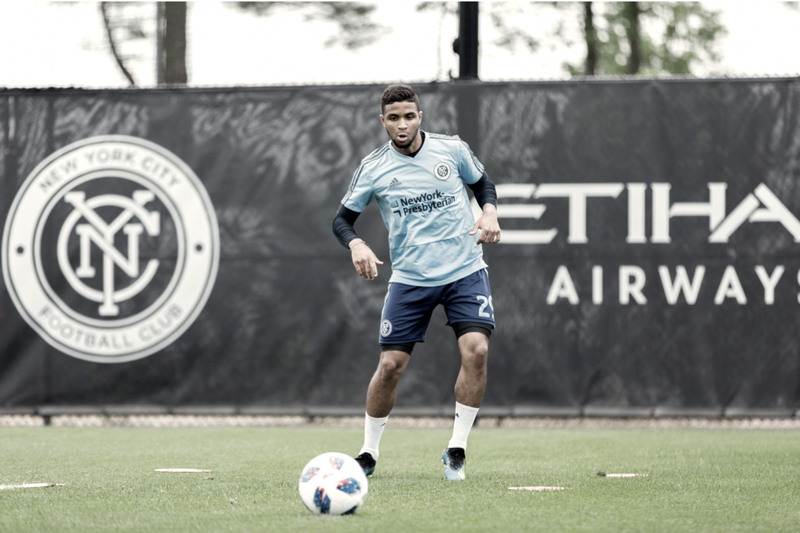 New York City FC: Both sides will be missing players due to international duty as Costa Rican pair, Ronald Matarrita, and Rodney Wallace begin preparing for the World Cup. On top of that, Yangel Herrera will miss Saturday's match as he continues to recover following an injury picked up in NYCFC's recent loss to the Houston Dynamo. Orlando City SC: A quartet of players will definitely miss the match with Jonathan Spector and Dom Dwyer being key injuries. Both of Scott Sutter and Mason Stajduhar will join them on the list. On top of that, Lamine Sane is doubtful as the defensive injuries continue. As far as international duty goes, Amro Tarek is currently with the Egypt squad and Yoshi Yotun has joined up with the Peruvian team. For the hosts, they'll be preparing for a Hudson River Derby match as they head over to Red Bull Arena to take on the New York Red Bulls in the US Open Cup. After that, they'll return home for back-to-back home matches. First up, they'll host a strong Atlanta United team which could see the winner move top of the Supporters' Shield table. Then, they'll welcome a struggling Toronto FC to Yankee Stadium. As for Orlando, they'll have what should be an easy clash with Miami United in US Open Cup before traveling up north for two matches against Canadian opposition. First will be the Vancouver Whitecaps at BC Place. Then, they'll have a meeting with the Montreal Impact to end their stay in Canada.